It was the only way she could think to thwart her fate. She imagined herself as cheese. 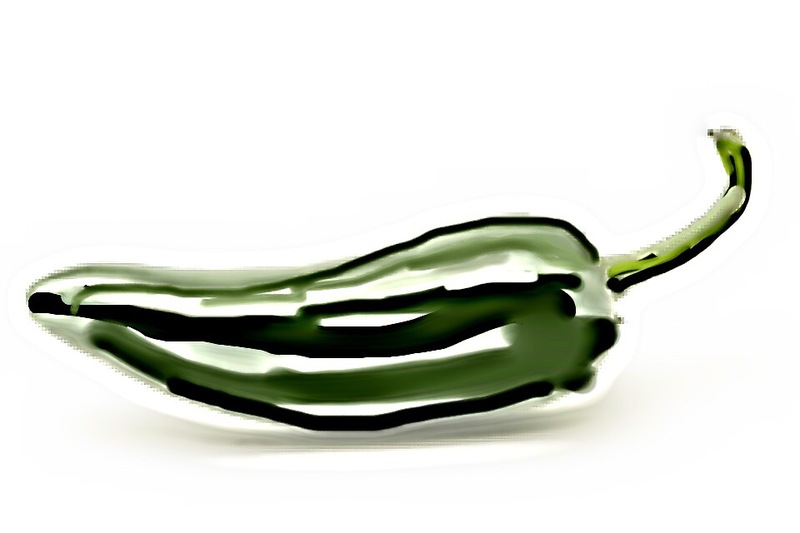 She remembered one with true jalapenos–not just pepper jack–her lover at the time complaining of his bowels. When she could not stand to chew the green-rinded seeds, she swallowed them like popped pills; and when she could no longer take the swallowing–even her stomach blistered–she rubbed the rinds against her skin, trying to push some lasting burn into her pores. She was rather amazed they gave her access to the markets. Though they visited every day, measuring her wrist’s girth with bony fingers crooked to meet a thumb, they let her move freely about the town. She had tried, of course, to abscond. She had hidden in a ditch; she had hidden in a closet; she had one time rolled herself into an industrial clothes dryer thinking to snare escape by night’s cover, thinking they would lose track, peel off after the trucks that carried away the dumpsters of clean linens. But they were waiting when she unwound herself; they were waiting outside the burnish of silver door, the thick glass circle. They were waiting with pitchforks–the ones with bright plastic-coated tines used to move the clothes–and semi-automatics. And as they led her over the dotted linoleum, she felt that grasp on her wrist, measuring. She should, she thought, seed her skin with cyanide. That would give them something to chew on. But access did not take her to the back aisles of chemists, only to the women who sold green–vegetables, melons, chiles–and too, the men who sold what she was soon to be, hanging from heavy hooks, forearms akimbo. A short short (weird) story of sorts for Real Toads open platform, hosted by the wonderful Kerry O’Connor with a quote about imagination. Pic such as it is is mine. All rights reserved. This entry was posted on August 16, 2016 at 4:01 pm and is filed under Uncategorized. You can subscribe via RSS 2.0 feed to this post's comments. Ahh.. what a story… I do see the effect of abuse, the way you hurt and maim yourself against the pitch-forks and semi automatics… how you are alone… at least that what I read into the story. Your heroine had a hard life, K. Of course you built her that way with your ‘pen’, such a great job. The abort of her escape was so very tragic. To think there still are such persons, trapped big time. A fun foray with a yikes buttoning the end. Pleasure and menace seems to be the dialectic here, one’s own freedom constantly hemmed, hedged and harvested by the tine-boys. Is it a female myth, or that of the imagination brutalized by a tuneless, tineful world? The last image skewers, its brilliant. Well done, Karin. Thanks. I’m not sure where it came from but I wrote a few little exercises with this trying to just be more open, wilder– ha, more surreal. Fun to try. Thanks for kind comment. K.
Beautifully written and seriously gruesome! Karin, your narrative opens up so many possibilities – it has a kind of Atwood feel in that you combine human experience with an alternate reality so seamlessly as to be completely believable. Metaphor or monologue, you are on fire. Ha. Thanks so much, Kerry. You cannot know how life-giving it is to me to read such words after several straight hours spend on a tax memo. Talk about alternate realities! Ha. Much much appreciated. k.
I too thought this was Atwood-ish and am completely terrified. Yikes! I want to know more about her–perhaps because I really want her to be able to escape one day… and a soul that determined has to succeed eventually. Such fiery imagery.